Located at Avalon Airport, near Geelong in Victoria, AVALON 2019 has a number of transport options available to its patrons. Catch the train, jump on a bus, bring your car, board the ferry or even fly-in! V/Line normal train timetable applies: View here. Catch any train scheduled to stop at Lara Station and the V/Line Airshow Express Shuttle Bus to Avalon Airshow will be waiting for you. These express buses will run from 8.40am until an hour after the show finishes on Tuesday 26th, Wednesday 27th and Thursday 28th February. Entry to the Airshow is NOT included with the ticket. V/Line online and phone ticket sales only available until 19 February 2019. *The Family Traveller ticket allows each adult to take up to two children aged between five and 18 for free. • Family Traveller tickets can be used by adults traveling with children older than four and under 19. • Children under five years old travel free but must be accompanied by a parent or guardian. • All customers using the Family Traveller ticket must travel together at all times. If there are more than two children travelling with each adult, additional children will pay the standard child fare. 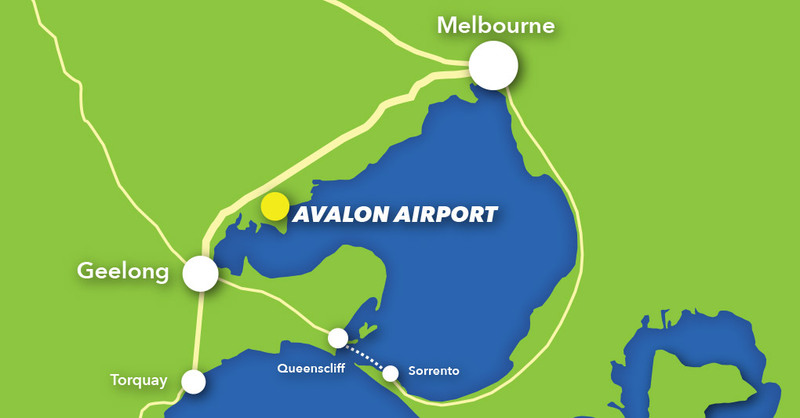 Avalon Airport is situated on the Princes Freeway, between Melbourne and Geelong. Access is easy by car with the route well sign posted. Once at the Airshow site, traffic marshals will direct vehicles to the ample car parking areas. For those using a GPS for directions to the Avalon site, please disregard the GPS messaging on approach to the airport and note the access instructions listed below. There are three variations of entry into the site and each are specific to direction you are travelling and/or your access tag. Follow signs via Point Wilson Road to access the Melbourne carpark. Follow signs via Avalon Road to access the Geelong carpark. Follow signs and directions as provided on the back of the tag. 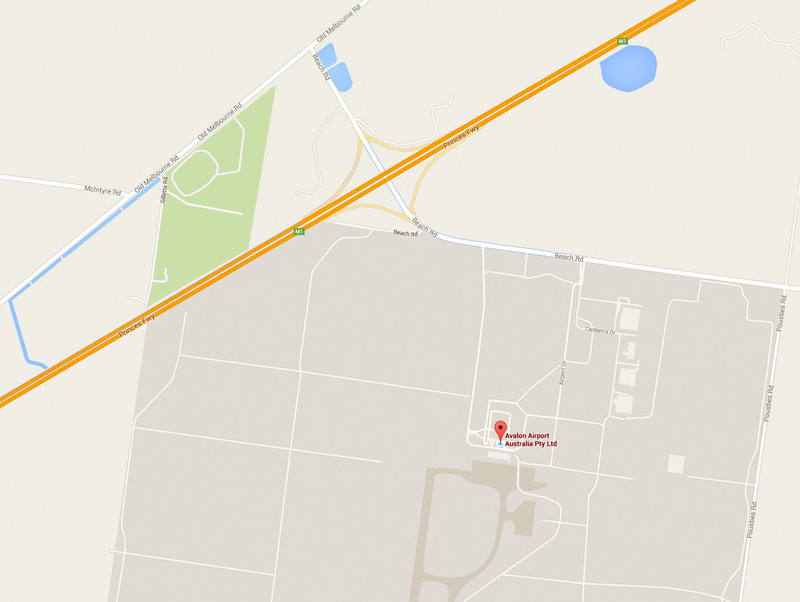 Avalon Airport is about 55kms along the Princes Freeway from the West Gate Bridge. Take the Tullamarine Freeway to the Western Ring Road and then travel west along the Princes Freeway towards Geelong. Avalon is about 18kms along the Princes Freeway. Signs will direct you to the turn off. Jetstar operate regular flights directly into Avalon Airport with convenient access to the Airshow site. An internal transport service is available to carry Jetstar passengers from the Avalon terminal to the Airshow entrance. For those passengers arriving at Tullamarine Airport there is no direct service to Avalon Airport. Patrons will need to catch an airport bus from Tullamarine to either Geelong or Southern Cross Station in Melbourne. or SkyBus for Tullamarine-Melbourne (Southern Cross Station www.skybus.com.au). All patrons alighting in either Geelong or Melbourne (Southern Cross Station) will need to use the V/Line train service to get to the Airshow site. Searoad Ferries is the car and passenger ferry sailing between Sorrento on the Mornington Peninsula and Queenscliff on the Bellarine. Avalon is only 1 hour from Queenscliff and a great way to get to or from the Avalon Airshow. The 40 minute crossing is a relaxing and convenient alternative to the drive around the bay through city traffic and on toll roads. Relax and enjoy easy drive on/drive off facilities for cars, caravans, motorbikes and coaches. Ferries depart daily, every hour on the hour from 7am to 6pm. Available for travel 19 February to 11 March 2019. Offer can only be redeemed by booking online. SkyBus meets every major flight at Avalon Airport operating fast airport transfers direct to and from Melbourne, Werribee and Geelong. Jump on SkyBus services between February 26th – March 3rd 2019 to jet direct to Avalon Airshow 2019. SkyBus provides a fast and frequent service between Avalon Airport and Melbourne City with a stop enroute in Werribee. SkyBus provides a direct service from Southern Cross Station direct to Avalon Airport door for convenient access to the AirShow so you can forget the fuel, tolls and parking fees. SkyBus Avalon City Express tickets also includes SkyBus Link, our free city hotels service, You can jet straight from your hotel in Melbourne CBD to the Avalon Airshow from as little as $24^. If you’re an early bird or want to stay for the night shows, SkyBus has transport covered for all. SkyBus provides a direct service to and from Avalon Airport to two easily accessible stops in the heart of Geelong at South Geelong and Geelong train station. Take advantage of our amazing offer on Avalon Express fares! SkyBus timetable that operates daily between Geelong and Avalon Airport. There are a number of ways to purchase your SkyBus Avalon tickets. You can purchase online, via our easy to use touch screen kiosks or in person at our ticket booths. Buy online and SAVE! Jump online to save a seat on SkyBus so you can soar to the action at Avalon Airshow. ^ Price based on Adult one way ticket. * Please contact SkyBus to arrange transport on Avalon Geelong Express. ** Price is for one way only. Please see SkyBus website for T&Cs as Normal SkyBus Ticketing Conditions apply.